Imagine you are a successful blogger, happy at work (since you do it from home) comfortable and well paid. Then like a bolt out of the blue, the phone rings. It’s Hollywood. They’ve picked up your little-known book and want to pay you to write the script for their next blockbuster. But it requires a big commute (since you live in Sweden – hey, it’s my imagination and I can always dream) and significant time away from your family for a period of a year. Now imagine that Hollywood call is instead a new relationship that catapults your life and the lives of your family clean out of the water. It’s a game changer. In all relationships, it’s an ever present danger. But in polyamorous relationship, it’s an openly acknowledged opportunity …and risk. In monogamy it means the end of your relationship. But in polyamory it doesn’t have to. And yet the game changing relationship is less often explored than it should be, because a) we fear change and b) all humans protect themselves from judgement. The possibility of a polyamorous relationship ending means even more vilification from the mainstream world. It is often assumed the relationship ends due to the fact it is polyamorous and not due to the natural evolution of the growth of its participants. 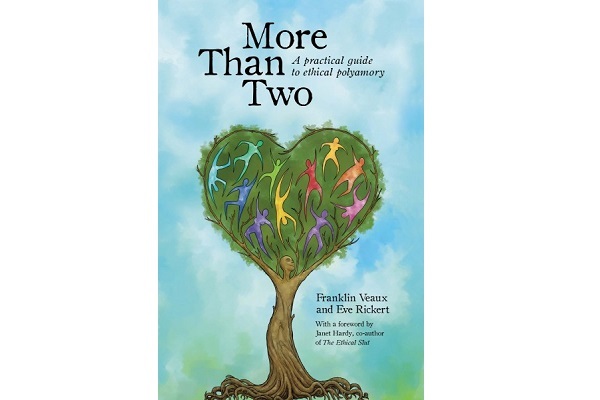 More Than Two by Franklin Veaux & Eve Rickert redresses this balance. From game changers…right up til the ‘end’ (but not as we know it, Jim). A game changer doesn’t even have to be a good relationship. It can be one that’s dysfunctional on such a deep level that it changes what we look for thereafter. Just as the Hollywood script offer may mean the end of your relationship – after all it will introduce your partner to a whole new world of people and a whole new life – so a new relationship, say the authors of More Than Two, may ‘alter the landscape of life.’ Because game changers do not necessarily spell the end of your relationship, but they do mean the end of your relationship as you know it. 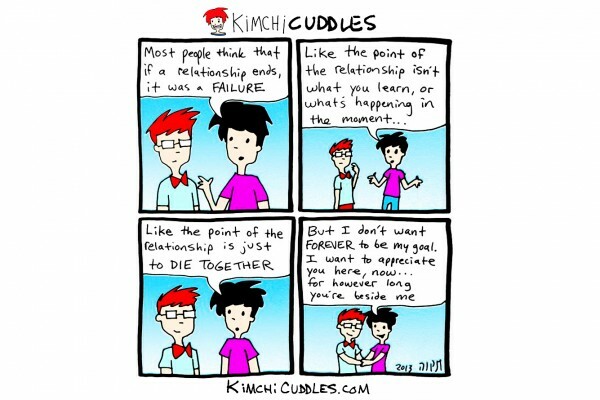 I’m not denying that within polyamory the participants may risk transitioning their relationships more often because of their ‘open’ belief system (although with rising divorce rates, I would question even that) but in my aspirations, the transition happens with more integrity, more acceptance and more awareness than it might within traditional ‘closed’ monogamy. Alternatively monogamy might mean, that participants stay physically together, looking to all intents and purposes as if nothing has changed and having what society judges a ‘successful’ marriage, unable to explore connections with others and remaining unfulfilled until they die. It’s human nature to sometimes exploit a get-out clause. I know because I’ve done it. And yet, the consequence of my doing so within a polyamorous configuration meant pain, growth, a four person relationship for 2 years and the rebirth of two new spectacularly happy couples with children. If I had to choose, I would do the same thing all over again. Because as Franklin & Eve so eloquently put it, ‘there is nothing noble in trying to preserve the status quo from things that can make our lives better.’ Sometimes you have to rebuild your relationship in its new configuration from the ground up. It’s hard, but not impossible. …and we must acknowledge this. A fundamental premise of ethical relationships is that all relationships are consensual. That means people are free to enter relationships without coercion and free to end relationships that are not meeting their needs. An ethical relationship is one where nobody feels compelled to stay against their will. Coercion, we can all agree, is abusive. But it takes a thousand forms. From violence and emotional blackmail to an implicit relationship dynamic or an explicit expectation (which is why unicorn hunters are so often criticised by seasoned polyamorists). There are few who intend to be coercive, but by defining the way that other people will act in order to get their needs met, they are. Let’s look at how this pans out in real life. ‘Your choice has brought you many lessons. I understand it and I respect it.’ I said ‘But we must all do what we believe is best for our own journeys and our children. And so in More Than Two it’s acknowledged wholeheartedly. Relationships end and it hurts, often everyone involved. But part of our life journey is to realise that ‘hurt’ is a value you attribute to an experience, and that you are not your experience. Your job is to detach from your experiences and love again. It’s just one of the ‘life lessons’ in More Than Two which make it a necessity on your shelf not only if you are interested in open relationships, but if you are interested in any kind of loving relationship. And let’s face it, that’s all of us.